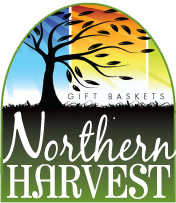 This willow basket with swing handles is filled with Wisconsin gourmet foods. 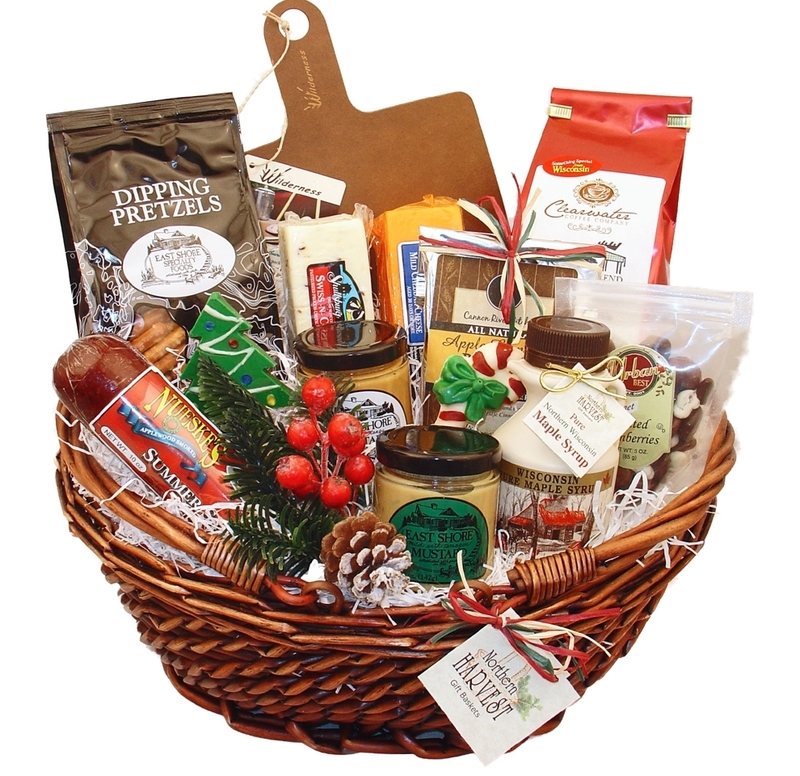 You will enjoy giving an assortment of cheese, summer sausage, pretzels and dip, chocolate coated cranberries, cherry berry nut mix, even maple syrup and pancakes. 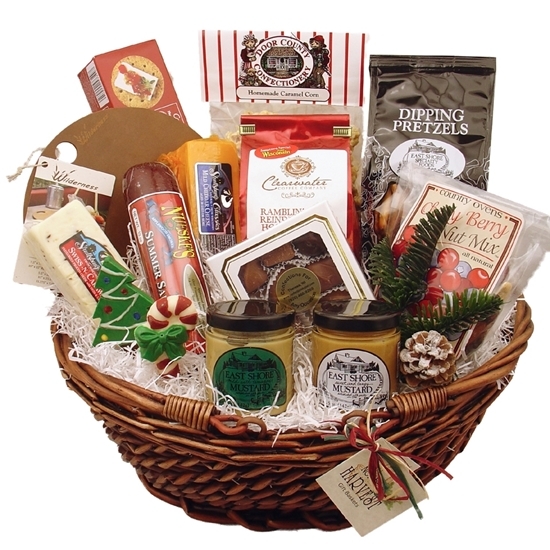 Brew a pot of coffee using the gourmet coffee, fresh roasted just for your gift basket. Included is a round Wilderness cutting board for slicing the cheese and sausage. Finish up with two festive smooth, sweet chocolate pops! 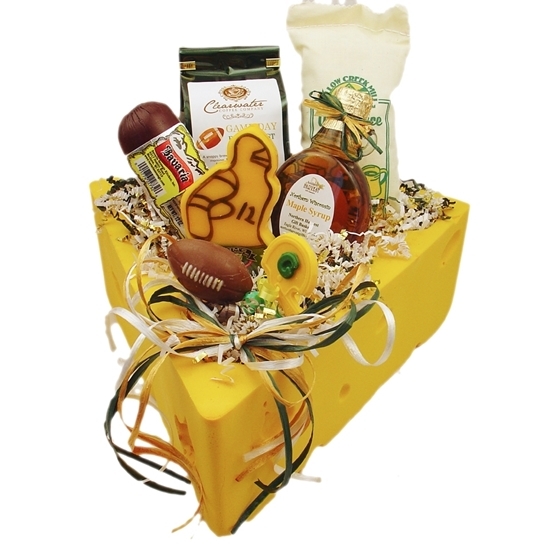 This gift has the perfect assortment of favorite Wisconsin treats. Ramblin’ Reindeer Gourmet Coffee – 12 oz. East Shore Dipping Pretzels – 6 oz. East Shore Sweet Tangy Mustard – 5 oz. East Shore Mild with Tarragon Mustard – 5 oz. Maple Leaf Medium Cheddar Cheese – 8 oz. Maple Leaf Pepper Jack Cheese – 8 oz. Nueske’s Applewood Smoked Summer Sausage – 10 oz. Door County Cherry Berry Nut Mix – 7 oz. 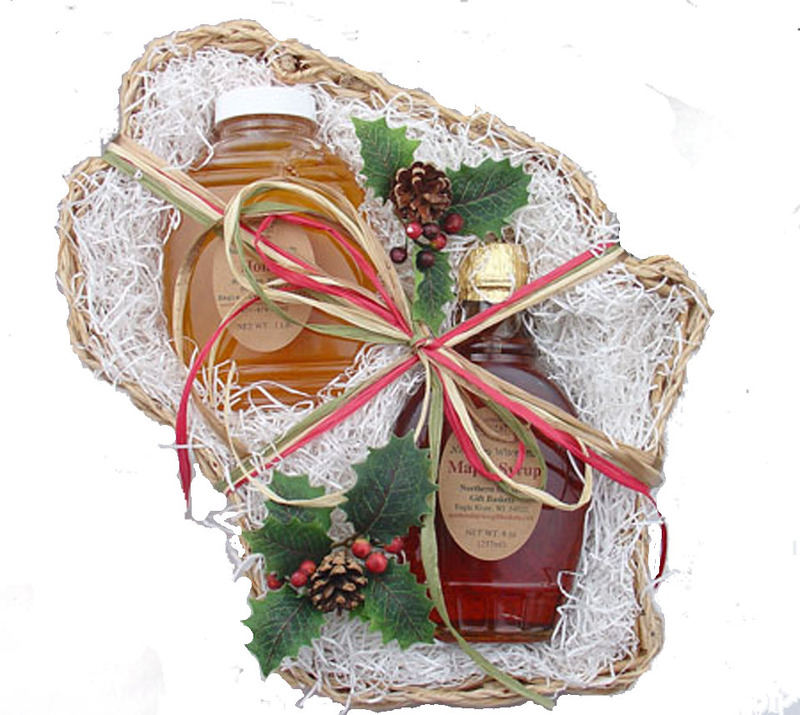 Pure Wisconsin Maple Syrup in a Colonial Jug – 8 oz. Gourmet Pancake Mix – 6 oz.